Vuly's healthy treats to beat the heat. As the temperature rises and activities move outdoors (in Brisbane, at least! ), the heat can start to take its toll on busy little bodies. 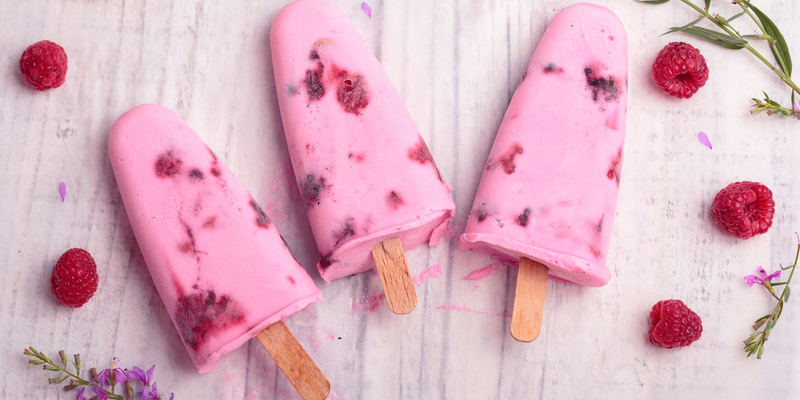 Our favourite—and the most fun—ways to cool down are with healthy, home-made frozen goodies. We’ve taken the classic English favourite, and given it an Aussie-fresh twist! Blend up the strawberries to create a thick puree, and strain them to remove any pulp and seeds. Combine sugar and water over a medium heat on the stovetop until boiling. Then, reduce the heat to a simmer for a few minutes, until all the sugar has dissolved. Set aside to cool. Add your cooled sugar syrup to the strawberry mixture, until it’s sweet to your liking. Remember: freezing ingredients will usually dilute their taste, so it’s always a good idea to turn up the flavour! Combine the natural Greek yoghurt with about a teaspoon of vanilla essence. Combine the strawberry mixture with the yoghurt mixture, add to the moulds and freeze for at least 30 minutes. Alternatively: Keep the two mixtures separate to create a fun striped effect! Add a layer of each mixture, freezing for 20-30 minutes in between, to create a fun striped treat that the kids will love. Bring a touch of island paradise to the backyard with delicious, tropical flavoured ice pops. This one requires a bit oft taste-testing on your part to reach the perfect flavour for your family. 1 tin of coconut milk. Juice approximately 8-10 limes, depending on how tart you would like your popsicles. Mix the lime juice with the sugar syrup, until you have reached your perfect balance of sweet and sour. Blend the lime and sugar mixture with the coconut milk. Once again, gradually mix in the quantities until you’ve reached your ideal flavour. Pour into your moulds, and freeze for at least 30 minutes! A fun, fruity and chunky combo—the colour of this treat will be stunning, and they'll taste as good as they look. Squeeze the limes, and combine the juice with the coconut water and pineapple juice. Taste-test to ensure a good balance of sweetness, with a hint of tartness. Pour some of the completed mixture into the moulds, while popping in some raspberries at intervals (around 3-5 per treat) until the moulds are full. We’d love to hear about the tasty treat combination that you’re whipping up in the kitchen to beat the current heat wave! What are your favourite ice pop flavour combinations?